We are starting the Competition on 4 March! 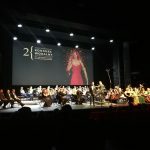 The auditions of the 2nd International Antonina Campi Vocal Competition will begin on 4 March 2019. We have received applications from Poland and e.g. Iceland, South Korea, Ukraine, Belarus, Israel, Lithuania, Brazil and Australia. 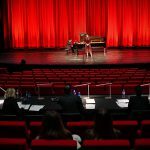 The 1st and 2nd stage auditions are open to the public. The final concert will take place on 8 March (Friday) at 7 pm.